Donlen has brought aboard a new senior vice president to oversee company strategy for new business development, client retention and sales force effectiveness. The company announced Thursday that it has chosen Greg Hawes to serve as Donlen SVP of sales and client relations. Hawes brings over 20 years of leadership experience developing go-to-market strategies designed to improve companies’ revenue growth and market expansion. 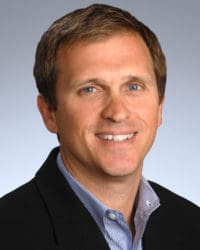 Prior to joining Donlen, Hawes has previously held sales leadership positions at Comdata, Ceridian, Monster Worldwide and ADP. Meanwhile, in other company news, Donlen presented its latest fleet management technology solutions at the two-day NAFA Fleet Management Association Institute and Expo in Anaheim, Calif., late last month. Greg Hawes, Donlen SVP of sales and client relations. Photo courtesy of company. The new Recall inSIGHT solution  introduced by Donlen in April was among a total of seven products the provider of financing and fleet management solutions showcased over two days.